We recently had a client mention that his Chinese customers could not access his website. He asked if it was because the site is hosted in the USA. The answer is, in a word, no. Whether or not a site is blocked by the Great Firewall of China (GFW) has nothing to do with the country of hosting and everything to do with the IP address. 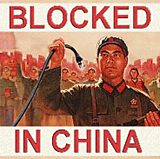 The Chinese censorship authorities will block any site which they deem to contain material detrimental (even tangentially) to the Chinese Communist Party. The way they do this is by blocking at the IP address level. A crude tool indeed. Most websites in the world are hosted on Shared Hosting Accounts so if an IP address gets red flagged it could potentially impact hundreds of other sites hosted on the same server, using the same IP address. To create an analogy, it’s a bit like living in a shared house and one of the members is caught for being involved in illicit activities. So the police decide to charge everyone in the house whether they were involved or not. If you lived in a neighboring single apartment you would not be charged. Assuming that there is nothing in the nature of your website content itself that is going to raise a concern, the solution is simply to get a dedicated IP address for your hosting account. It might cost an extra $30 a year or so. Small potatoes. That should sidestep any fallout from “bad housemates” on your server. It should be noted that as a side benefit this may also give performance benefits. Anecdotally it sounds like the GFW does impact performance on accessing foreign websites from within the PRC. c) find a local Chinese partner (probably). Any website hosted within the PRC MUST have an Internet Content Provider License (ICP License) from the Chinese Authorities. Good luck with getting one of those. 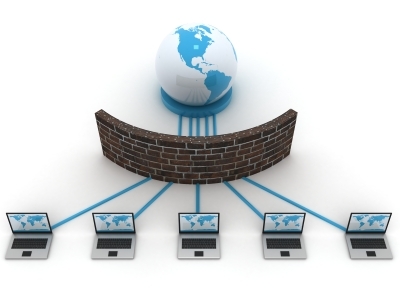 The GFW firewall system blocks website content by preventing IP addresses from being routed through and consists of standard firewall and proxy servers at the Internet gateways of China’s ISPs. The banning of websites is mostly uncoordinated and ad-hoc, with some web sites being blocked from one city and the same web sites being allowed from other cities and vice versa.